When user click on Login with twitter button, Provide them access link which is generated by Twitter4j with your app credentials. 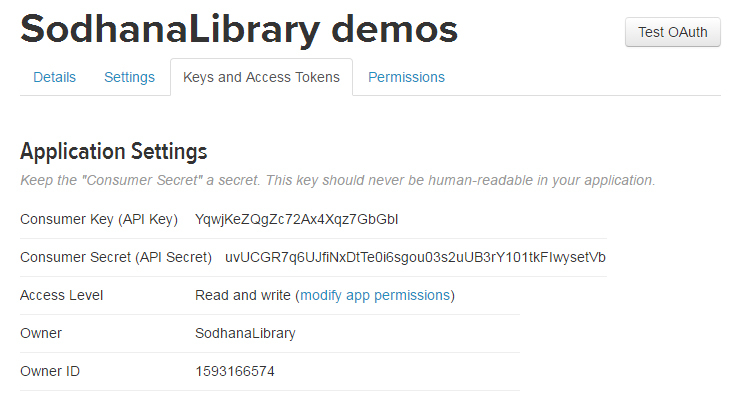 Now save access token and access token secret in database with user details like twitter user id and screen name. User cant change their twitter user id, so we can use this to identify user. If user login again, we can process user's account using twitter user id. Whenever you want to update status on user's timeline, you can do with these saved access tokens. Open twitter apps webpage. Create your app and get Consumer Key and Consumer Secret Key. Observe below diagram. Created database table like below. Callback servlet will receive oauth_verifier parameter. Verify access token with that verification code, then you will get access token object, Now save or update access token or access token secret to database. 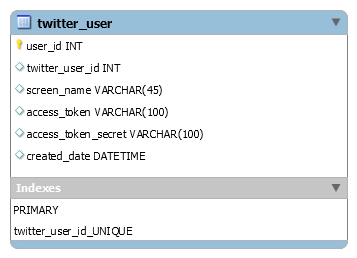 Here we identify user with twitter user id that is always constant. TwitterDAO.selectTwitterUser method gives user object based on twitter user id. 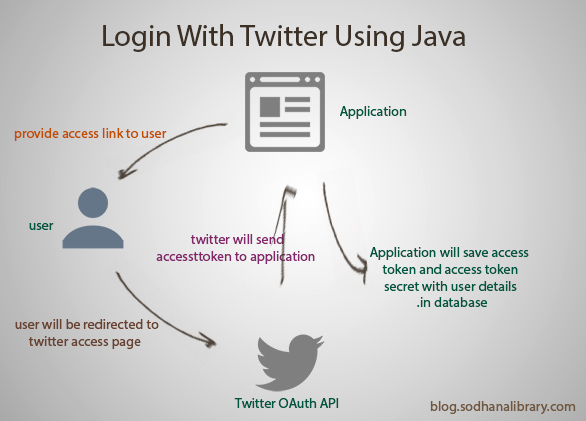 how to implement login with twitter functionality in a web application using java play framework? many people come and go but i don't think that anyone can replace him https://twitter.com/darrenwinters01 follow this man for the best ideas about business..!! I received all the services for which I paid, the price is affordable and corresponds to quality. I recommend ALL-SMM to all those who want to cheat Instagram account ... thanks to the guys for the great work! :))) Now I'm going to buy Instagram likes.